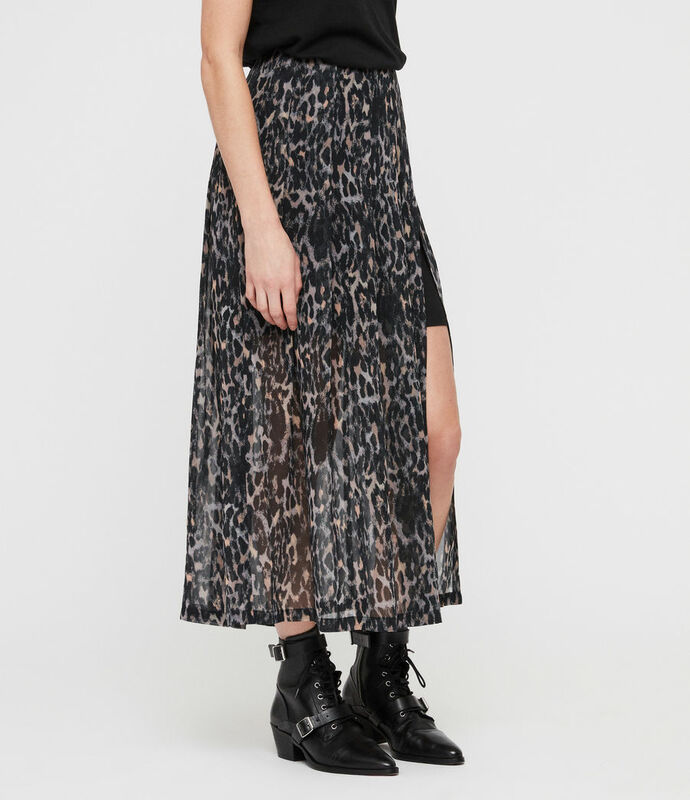 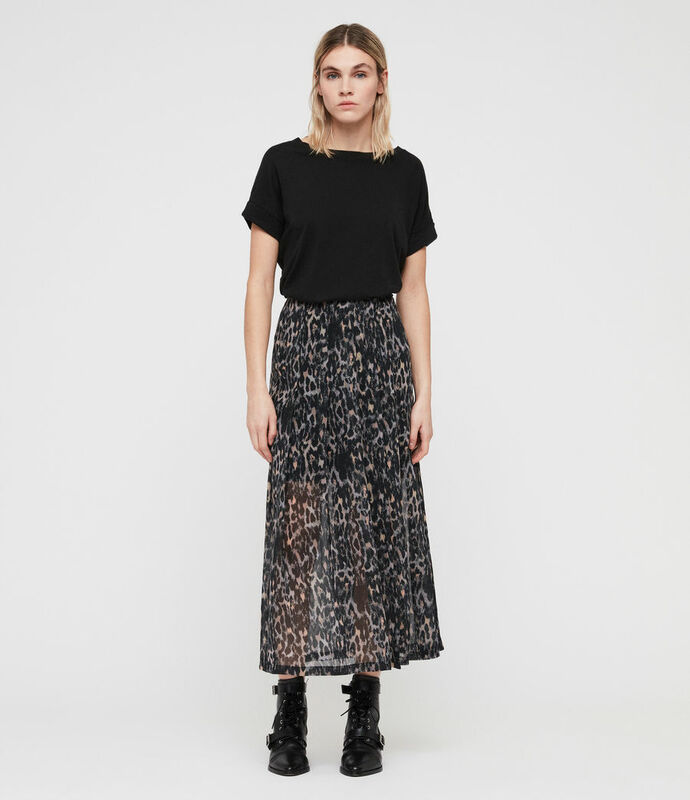 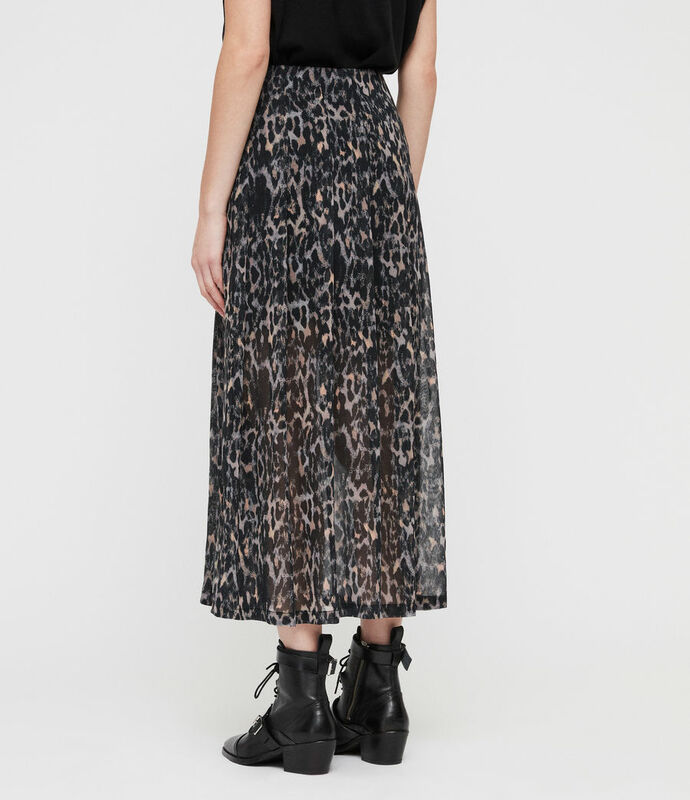 The Drea Leopard Skirt is crafted from a lightweight fabric in a seasonal grey leopard print. 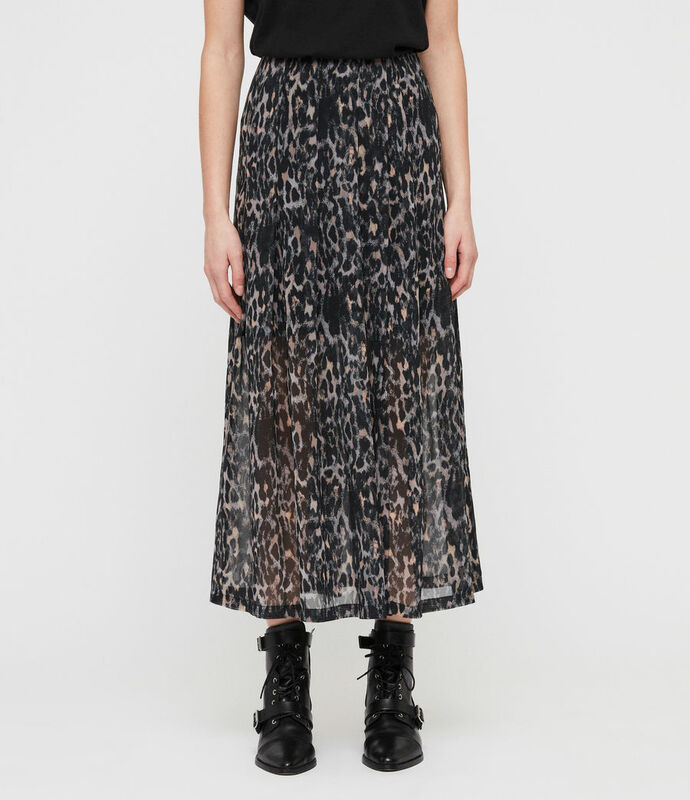 A black underskirt cuts off at the knee whilst the delicate sheer overlay falls to the ankle for a striking look. 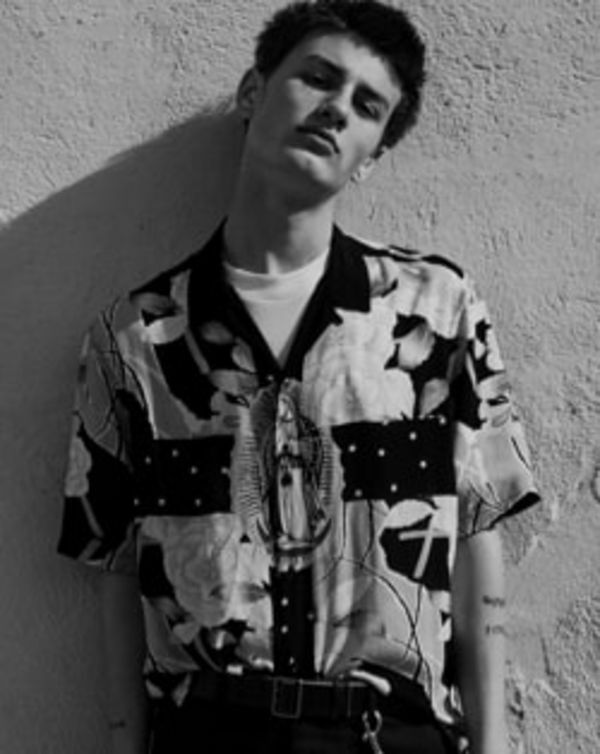 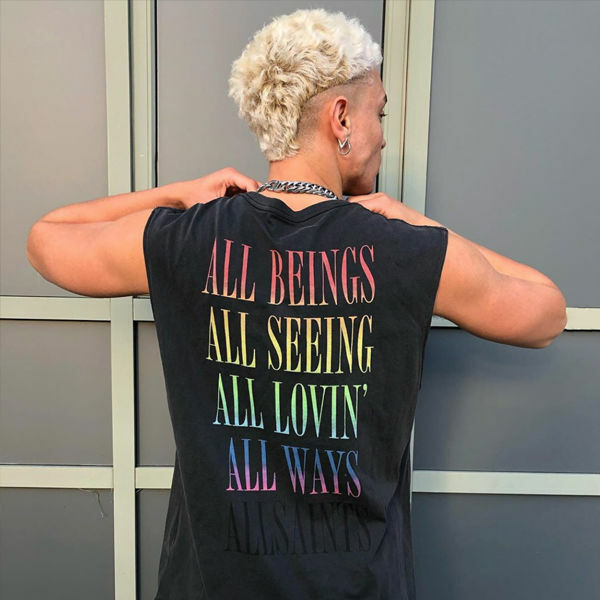 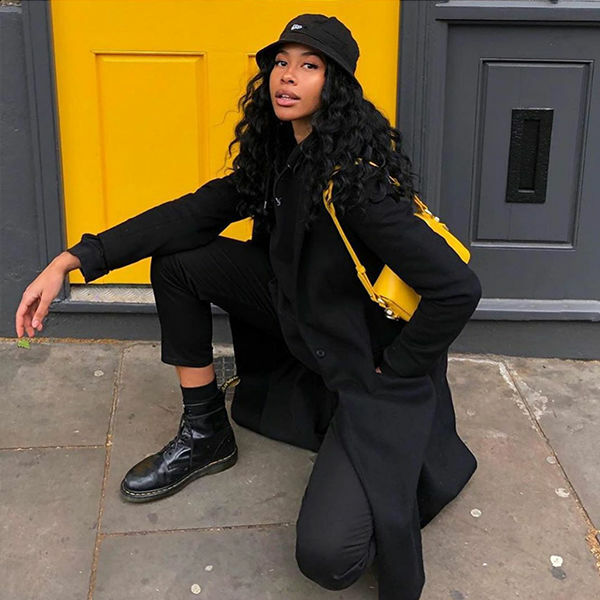 Model is 5'8" / 173cm, wearing size UK 10.